Superior provides clean and well-maintained shower and restroom trailer rentals for Indiana events, parties and construction sites. If you require restroom facilities for an upcoming event, our portable facilities are available for short or long term needs, and come with a variety of features. Shower trailers from Superior are equipped with changing rooms, private stalls, sinks, large mirrors and electrical outlets for a convenient experience. For situations where there is no readily available water source, high capacity water tanks supply hours of hot water. These trailers are great for festivals, construction sites, disaster relief efforts or high-traffic events like Tough Mudder. Wood grain floors, heating and air-conditioning, handicap accessibility and stereo systems are just a few of the features Superior restroom trailers offer. Our restroom trailers can accommodate events of any size, from a small backyard wedding to a weekend long music festival with thousands of attendees. For all your shower and restroom trailer needs, choose Superior. 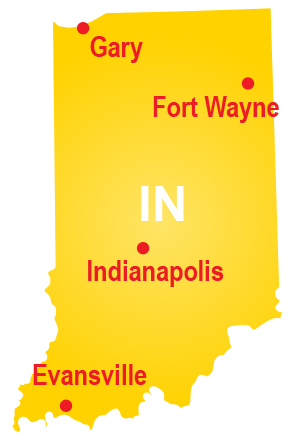 We deliver units throughout the state of Indiana. Contact us today to request a quote.